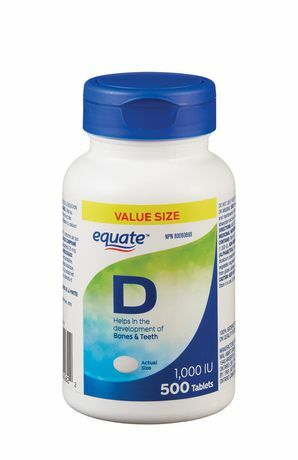 Medicinal Ingredient: Vitamin D3 (cholecalciferol) 25 mcg (1,000 IU). Non-Medicinal Ingredients: Dicalcium phosphate, microcrystalline cellulose, vegetable magnesium stearate. This product is free from salt (NaCl), gluten, lactose, artificial colours or flavours.